I read this article and found it very interesting, thought it might be something for you. The article is called Too hot for you? 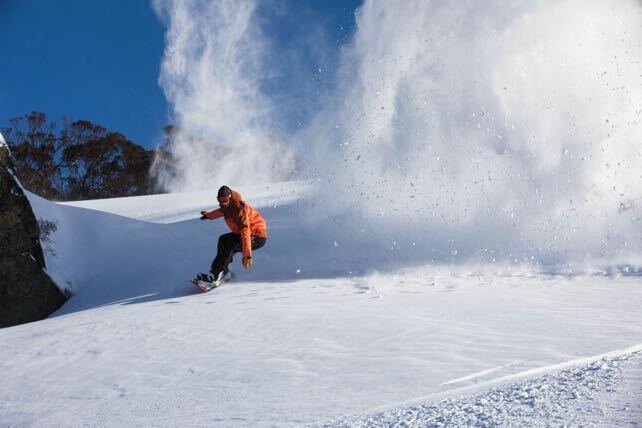 There’s Lots of Snow Down Under…and is located athttp://welove2ski.com/snow-report/july-30-2018. While the northern hemisphere sweats its way through an extraordinary summer, the ski resorts of the south have been enjoying excellent ski seasons. Once again, the southern hemisphere’s three main ski regions have all had fresh snow. Accumulations haven’t been particularly deep – but combined with low temperatures and sunshine they’ve been responsible for some memorable days Down Under. Here’s how it looked at Treble Cone, above Lake Wanaka on Sunday. The New Zealand ski resort had a couple of 10cm top-ups at the end of last week, and snow depths on the higher slopes are around 150cm deep – very good for the South Island, given its flukey maritime climate. The coming week will see more snow, although it won’t be especially cold. Expect sleet/rain at base-lodge level, and snow higher up on Wednesday and Thursday, with chillier weather on Friday. Gale-force winds will be an issue in the middle of the week, so some resorts are likely to be closed on Wednesday. The resorts of the south-eastern Australia have had a top-up too. This was the base lodge in Thredbo on Sunday night. And this was the result on Monday morning, with 15cm of powder on the higher slopes. Currently, there’s 122cm of settled snow on the higher slopes at Thredbo. There are several cold fronts in the forecast, too. Expect midweek snow showers, followed (we hope) by heavier snow at the weekend. Finally, in the ski resorts of the Andes, the run of good weather continues. There was 14cm of new snow at the end of last week, followed by more sparkling sunshine. Pictured below was Valle Nevado, near Santiago, on Saturday. More snow is expected for the southern and central Andes at the end of the week. Summer in the Alps is staying toasty. According to French forecaster Meteo Chamonix, “blazing sun” is the order of the day in the valleys, with daytime temperatures nudging 31C in the town of Chamonix. The freezing point should rise to 4500m. By Friday, it could be even hotter, with the freezing point at 4700m – which is almost at the summit of Mont Blanc. Similar temperatures are expected in the east. It’ll be a great week for e-biking in the Alps, as well as swimming, rafting and riding the lifts onto the higher slopes to catch the breeze – though you should bear in mind that there could be the odd afternoon thunderstorm on Thursday and Friday.